ABC-Olé is an emulsified long-chained carbon product that is designed to compete with Emulsified Vegetable Oil (EVO) products. ABC-Olé is formulated on a site-by-site basis to promote optimal biodegradation. 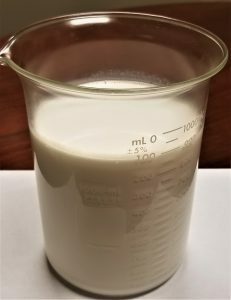 Lactate and-or alcohols components serve as the short-term (more quickly fermented) components and the vegetable oil and fatty acid esters serve as long-term fermenting components. ABC-Olé contains a phosphate buffer for pH control and provides essential micronutrients for bioremediation. ABC-Olé has been successfully employed at over 250 sites in the United States and Europe. ABC-Olé readily mixes with water and does not require chase water. More importantly, ABC-Olé is formulated to minimize the potential for soap or scum formation that can foul wells. ABC-Olé is typically 60 percent long-chain and 5 percent short-chain fermentable carbon. Only food grade emulsifying agents are used that do not contain any 1,4-dioxane. The pH of ABC-Olé is shipped at approximately 8 to provide neutralization of organic acids that are produced during fermentation. The density of the most popular mix of ABC-Olé is 8 pounds per gallon, but the product usually custom blended for each site. ABC-Olé is available in 5 gallon pales, 55 gallon drums, IBC totes, and tanker trailers. Custom filled drums, totes and trailers are available so that your order can be filled to the pound. Redox Tech will arrange for recycling of empty drums and totes at no additional cost. Below is a picture of crud that can be formed after traditional EVO injections, especially at sites with “hard” groundwater conditions. ABC-Olé is formulation to minimize gelling and precipitation which can result in expensive well rehabilitation or poor distribution of substrate. 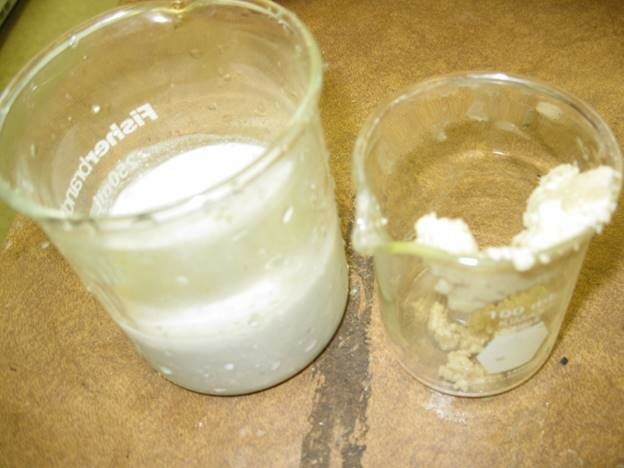 If your site does have problems with fouling, Redox Tech in conjunction with Provectus Environmental Products produces and sells SCRUD Remover for redeveloping biofouled wells. Please visit Scrud Remover for more information. 1ABC® is protected by US Patent 6,001,252.